“Perception is a scholarly journal reporting experimental results and theoretical ideas ranging over the fields of human, animal, and machine perception. Now available to the University of Cambridge electronically from volume 1 (1972) to volume 31 (2002). Volume 33 (2003) to present was already available to access. Access Perception (historic archive) via the ejournals@cambridge A-Z or at this link. New on the OECD iLibrary platform on trial access: OECD Commonwealth iLibrary. For the first time books and working papers published by The Commonwealth are now available online in a single research repository. Trial access is now available until 30 October 2014. The Canadian Journal of Zoology is affiliated with the Canadian Society of Zoologists. Now available to the University of Cambridge electronically from volume 74 (1996) to present. Access Canadian Journal of Zoology via the ejournals@cambridge A-Z or at this link. “Water Science and Technology publishes peer-reviewed papers on all aspects of the science and technology of water and wastewater. Now available to the University of Cambridge electronically from volume 14 (1982) to present. Access Water Science and Technology via the ejournals@cambridge A-Z or at this link. Cambridge now has trial access to the new Loeb Classical Digital Library, a digitization of the entire Loeb Classical Library’s editions of Greek and Latin literature, complete with their English translations. 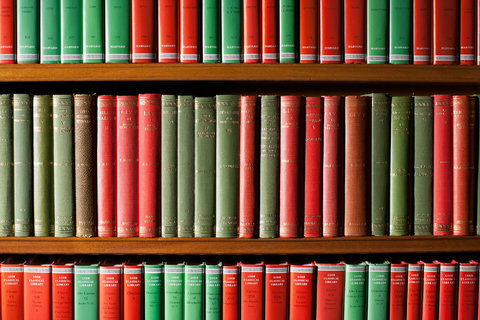 Access the trial of Loeb Classical Digital Library here – And please send us your thoughts on using the Loebs online by sending a message to ejournals@lib.cam.ac.uk. Thank you! Some of the site’s most useful tools are features of “My Loebs,” the personal accounts available to all authorized users. Please create your own account (via the “Sign up” link at the top of each page on the site) so as to utilize the digital Loeb Classical Library’s full capabilities. Access the trial here. End date : 23 Nov 2014. New on ejournals@cambridge A-Z : ECS transactions. Now available to the University of Cambridge electronically from volume 1 (2005) to present. To date there have been 61 volumes published, with the number of issues per volume varying between 1 and 54. Access ECS transactions via the ejournals@cambridge A-Z or at this link.